Purchase your most common print materials in larger quantities and save! Office Mart can store the materials for you. 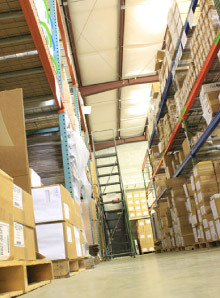 Our inventory and fulfillment system has stock-level monitoring, automatic-replenishment capabilities and reporting, and real-time inventory and order tracking. It also provides e-mail notifications and usage reports. 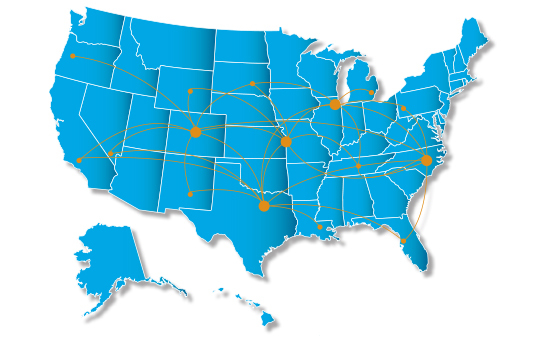 Our strategically-located warehouses around the nation keep shipping costs down and reduce transit times. We can help assemble multiple items into one package for both regularly-scheduled and one-time projects.